Picture the scene: a rugged guy wearing 501s and two days’ stubble walks into a Texas dive bar and orders a beer. The barman pulls out a bottle of ice-cold industrial utility beer, glistening with condensation (the beer, not the barman), pops the cap, and hands it to the stranger, who drinks it STRAIGHT FROM THE BOTTLE! It’s a movie trope we’ve all seen a thousand times at the cinema and in adverts. Real men drink their beer from the bottle. Not a half-pint with a handle, not a flute glass (with the possible exception of John Mills), and certainly not from a two-bit tin can. The inseparable pairing of beer and bottle is one that ad-men have played on for years in different forms, but the worst excesses came about in the 1980s and 1990s when breweries tried every trick in the book to convince customers that drinking beer without a glass was cool. It’s not. Ever. It’s not just that it’s a little bit passé – think Miami Vice, rolled-up suit sleeves, pony-tails and espadrilles - most of what you taste comes from your nose, so the best way to taste it is from a beer glass where you can get your snout right into the thick of the action. But while glass bottles – long neck, stubbies, growlers and swing-top - are a convenient way to bottle your homebrew, or buy your favourite craft beer, other solutions are available. Step forward the humble aluminium beer can. 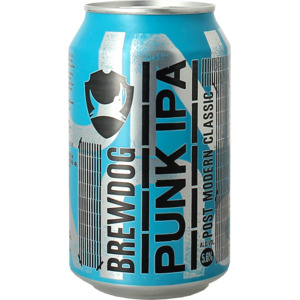 BrewDog Punk IPA: if aluminium is good enough for the beer that started the Craft Beer revolution, it's good enough for us! It’s hardly ground-breaking stuff, but the aluminium drinks can has a number of advantages over its long-serving mate the brown glass bottle. The first, and most obvious, is that it’s a more ecological way to enjoy your beer. While aluminium is a heavier material than glass, you need much less of it, so transporting the finished product uses significantly less energy. To put it into context, your average empty drinks can weighs around 15g - 10% less than in 1992 - compared with nearly 200g or over 12 times that for a 330ml glass bottle. Put another way, for every two bottles of beer transported, you could ship one extra aluminium can of beer for free! And then there’s the question of strength. Drop an unopened beer can from the counter in your kitchen and chances are it’ll bounce. Try the same thing with a bottle and you’re going to be mopping up beer from the kitchen floor, the walls, the cupboards. Unless you enjoy drinking beer through a straw straight from the tiles it’s game over! Ok, cans aren’t indestructible, but they’re a lot more robust than glass. That’s great’n’all, but the most important reason for aluminium beer cans isn’t the carbon footprint or the fragility of the packaging – no one really cares too much about that – no, what really matters is how it tastes. Am I right? Glass beer bottles are great, they’re convenient, they’re recyclable, they have a certain functional and aesthetic beauty, but one thing they’re not so good at is stopping light. Yup, glass bottles are at best translucent, at worst transparent, and if there’s one thing beers don’t like it’s light. The antidote to bad taste? Over time, light breaks down the alpha acids from the hops, as well as other flavour compounds critical to great-tasting beer, leaving you with nasty, undrinkable slops. It’s possible to limit the effects of sunlight by bottling with green or brown glass, but ultimately this will only slow the rate at which the beer spoils. To completely eradicate ‘light-strike’ or ‘skunking’, the best way is to eliminate light altogether, which is where our friend the aluminium can is in a league of its own. Having said all this, you might be thinking, well hang-on, if it’s so great, why aren’t all beers sold in tin cans? Well, while the startup costs associated with cans are higher, it’s catching on little by little. Brewers like Anderson Valley, Westbrook Brewing, Camden Brewery, and many more are getting on the aluminium bus. Hopefully we’ll soon be seeing more beer in cans and enjoying that amazing freshness long into the future. Oh, and did I mention cans represent a bigger tableau. Think of it like this: it’s like comparing the cover for Sergeant Pepper on a CD compared with the original 12-inch vinyl – the design is bigger, better, brighter, it’s just, well, MORE! So, you can really go to town on the label design. 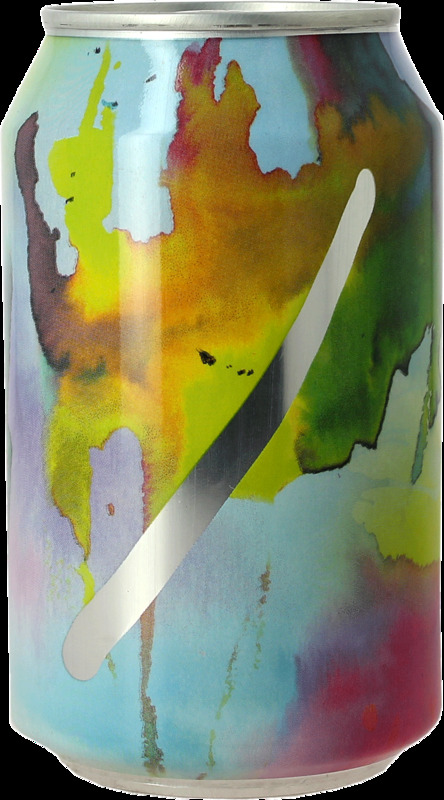 All in all, the aluminium beer can is nothing to be afraid of. In fact, it’s a great solution allowing you to enjoy your responsible drinking even more responsibly without fear of spoilage or breakage. If you’re still not convinced, don’t take our word for it, why not try some of our great range of beers in aluminium cans.